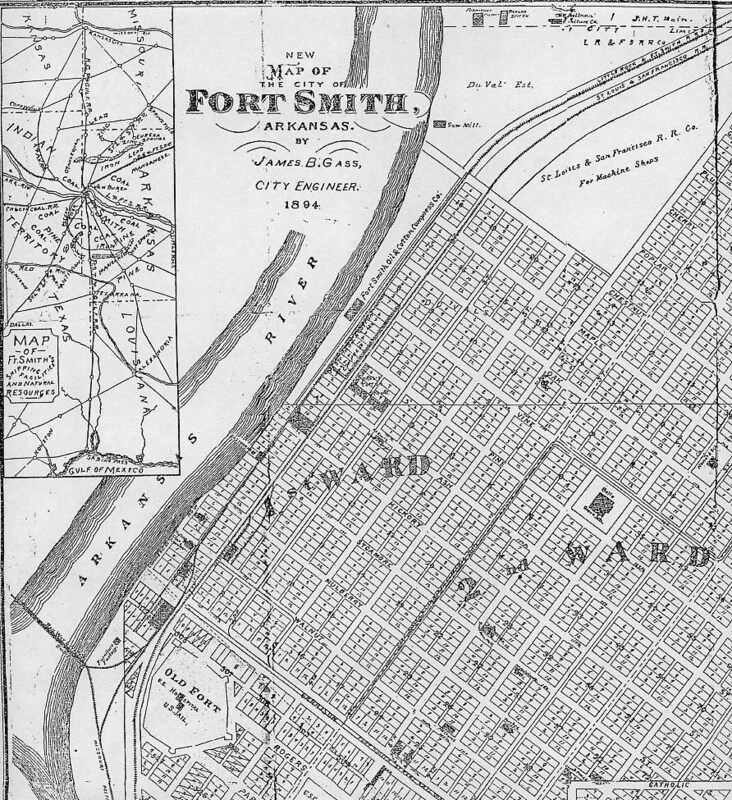 Section 1 of this 1894 map of the northwest corner of Fort Smith depicts the streets, layout and landmarks of the city at that time. In the lower left corner, the location of the second Fort Smith is visible, probably with its walls still in tact at that time. Belle Grove School, then at Sixth and Pine streets, still stands today (2004) in the same place. At the river's edge of downtown you can see a remaining fragment of Commercial Row, also called Front Street, eventually the Arkansas River eroded all the lots of that neighborhood and threatened First Street as well. First Street was an area already associated with vice by the 1890s and by 1898 it was home to Miss Laura Ziegler's bordello.